While the benefits of a free market are widely touted in the United States, Nobel Prize winners George A. Akerlof and Robert J. Shiller argue that such markets have a seedier side. Individuals and businesses aim to make the highest profit possible, and they may do whatever it takes to achieve that, including exploitation and deception. 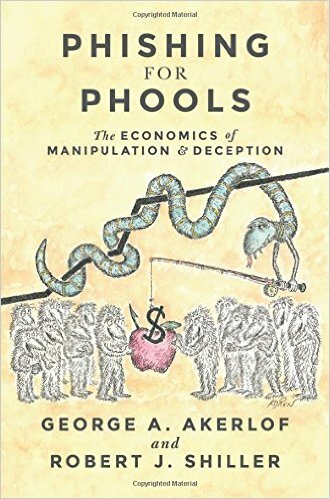 This book explores the intersection of psychology and economics, using case studies to show how markets can be manipulated. The case studies discuss advertising, politics, big pharma, and more. If economic theory tickles your fancy, I highly recommend this read. This entry was posted in new stuff tuesdays and tagged economics, free market, new stuff. Bookmark the permalink.